37 hours per week, permanent. Cyrenians is working in partnership with Falkirk Council to transform Arnotdale House in Dollar Park back into a centrepiece of the community. Cyrenians will be creating a Social Enterprise that offers a café, events/meeting/party spaces and office accommodation. The Social Enterprise will generate income to provide sustainability whilst also offering work experience, volunteering and providing opportunities to remove barriers to employment. The renovated building offers expanded office space for Cyrenians services, who will move into the building in late 2018. The café and enterprise business is projected to be fully operational by early summer 2019, and will be open to members of the public where, as well as café facilities, function rooms are available for hire for a range of activities/functions such as Community Group meetings, Weddings, Bistro Evenings and small concert evenings/recitals amongst others. Working with the Head of Enterprise, this role will develop and implement a service plan which will support Arnotdale House to reach its full potential as a successful social enterprise, managing all aspects of service delivery and having responsibility for facilities management of the House. These tasks include developing and promoting all aspects of the enterprise, take an active role in day-to-day delivery, manage the facility ensuring good maintenance within Health and Safety requirements, manage the team of staff and volunteers to deliver operationally and ensure compliance with all legislative requirements. You should be an effective team player, with excellent organisations skills and business experience in the hospitality and events sector. You will be trustworthy and responsible, and able to demonstrate Cyrenians values of compassion, respect, integrity and innovation in the work that you do. 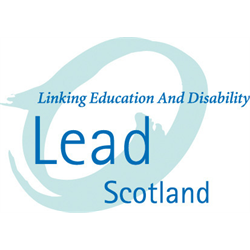 For full details and an application pack please visit cyrenians.scot , call 0131 475 2354 (during office hours) or e-mail: recruitment@cyrenians.scot CV’s will not be accepted. 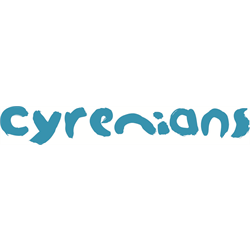 Cyrenians delivers a range of services within the Falkirk area which support people to address barriers to accessing services, employment, volunteering opportunities and/or support. We also have an established peer mentoring project for people with experience of the criminal justice system. Cyrenians Peer Recovery Service in Falkirk is a 12 month pilot project that will provide activities for people who are recovering from addiction within the Falkirk area. A peer led approach works on the basis that someone who has been through it themselves is motivated by positive, caring reasons – they have been there and they know how challenging it can be. We are seeking two part time workers with lived experience of a successful recovery from addiction, to take this exciting project forward. You will be committed to the concept of recovery and the development of recovery communities. You should also have excellent interpersonal skills, be a team player, and be able to demonstrate Cyrenians values of compassion, respect, integrity and innovation in the work that you do. Cyrenians is a charity working towards a society that truly values and includes all. Our Vision is of an inclusive society in which we all have the opportunities to live valued and fulfilled lives. We work to make that vision a reality through our mission to support people excluded from family, home, work or community on their life journey.